Ethernet network speeds have evolved significantly over time and typically range from Ethernet (802.11) at 10Mbps, Fast Ethernet (IEEE 802.3u) at 100Mbps, Gigabit Ethernet (IEEE 802.3-2008) at 1000Mbps and 10 Gigabit Ethernet (IEEE 802.3a) at 10Gbps. Meanwhile, Ethernet switches have also escalated from 10/100Mbps switch to Gigabit switch, 10GbE switch, and even 100GbE switches. 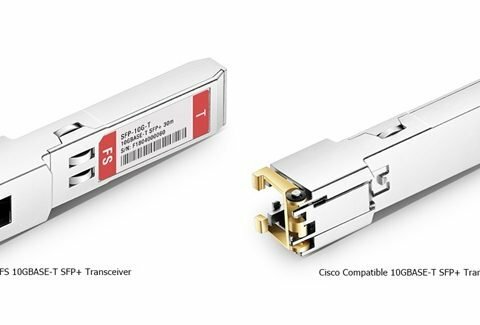 The topic came up frequently that “Do I Need a Gigabit Switch or 10/100Mbps Switch?” Gigabit switch vs 10/100Mbps switch, which do I need to satisfy my network speeds requirement? This post will give you an answer. A Gigabit switch is an Ethernet switch that connects multiple devices, such as computers, servers, or game systems, to a Local Area Network (LAN). Small business and home offices often use Gigabit switches to allow more than one device to share a broadband Internet connection. A gigabit switch operates in the same manner, only at data rates much greater than standard or Fast Ethernet. People can use these switches to quickly transfer data between devices in a network or to download from the Internet at maximum speeds of 1000Mbps. If a switch says “Gigabit”, it really means the same thing as 10/100/1000, because Gigabit switches support all the three speed-levels and will auto-switch to the appropriate one when something is plugged in. The following is a Gigabit 8 port POE switch with 8 x 10/100/1000Base-T RJ45 Ethernet ports. Network engineers who refresh the edge of their campus LAN encounter a fundamental choice: Stick with 100Mbps Fast Ethernet or upgrade to Gigabit Ethernet (GbE). Vendors will undoubtedly push network engineers toward pricier GbE, but network engineers need to decide for themselves which infrastructure is right for the business. Currently, Gigabit switch is much more popular than Fast Ethernet 10/100Mbps switch. Because gigabit switch used in tandem with a gigabit router will allow you to use your local network at speeds up to ten times greater than 10/100Mbps switch. If either of these components is not gigabit, the entire network will be limited to 10/100 speeds. So, in order to use the maximum amount of speed your network can pump out, you need every single component in your network (including your computers) to be gigabit compliant. In addition, by delivering more bandwidth and more robust management, Gigabit switches are also more energy efficient than 10/100Mbps switches. 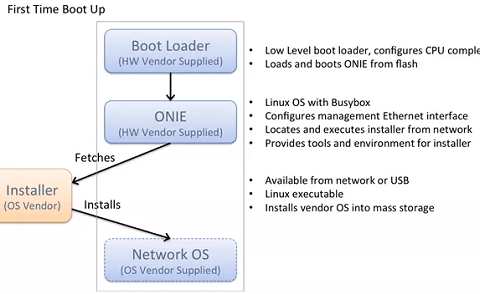 This offers enterprises the opportunity to lower their power consumption on the network edge. There’s a multitude of switch options to choose from on the dazzling market. So, before determining the right switch for your network, you’re supposed to have a close look at your current deployment and future needs. But for most cases, we recommend you buy Gigabit Ethernet devices instead of Fast Ethernet devices, even if they cost a little bit more. FS provides a full set of Gigabit switches, including 8 port switch, 24 port switch, 48 port switch, etc. With these high-performance Gigabit Ethernet switches, your local network will run faster with better internet speed. 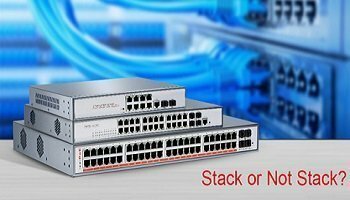 48 Port PoE Switch Stacking: Do You Really Need It? 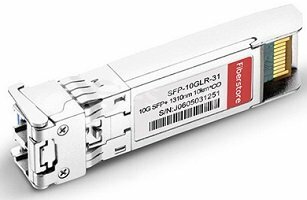 What Is 10GBASE-T and Why Is It Important?